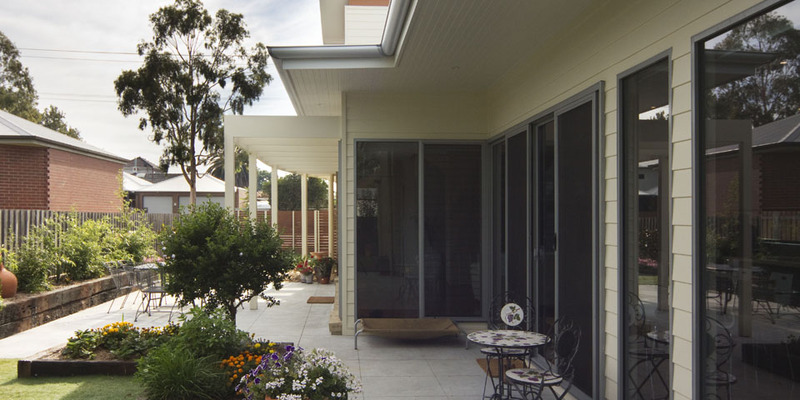 The simplicity of the house and its environment was a requirement by the client who wanted minimum maintenance with a “lock and leave” capacity. 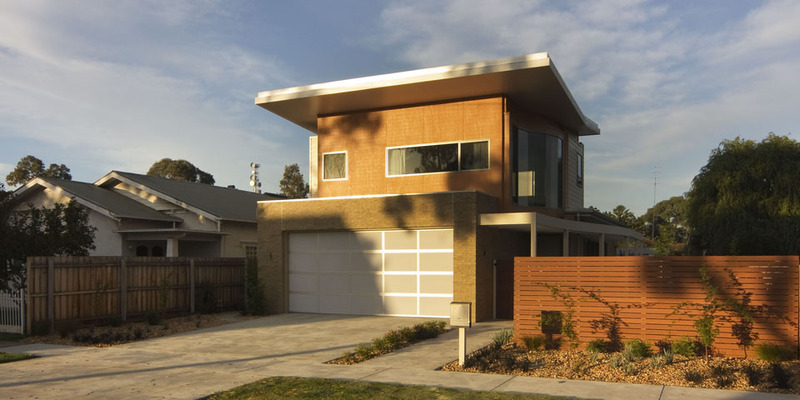 The house is located in Bairnsdale on a half sized block and the design is a contemporary take on the townhouse. 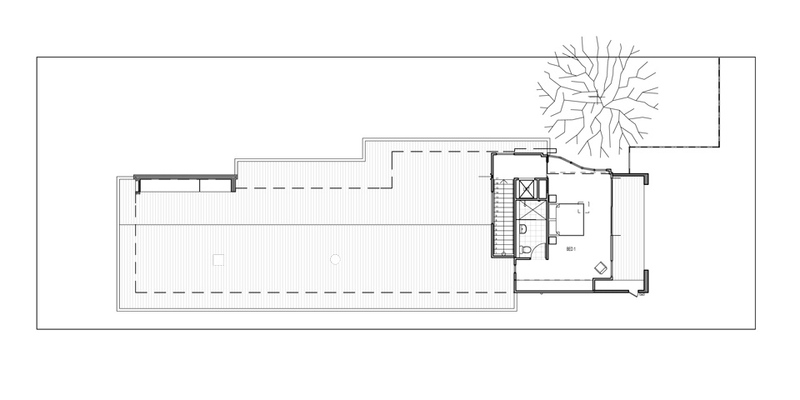 The ground floor has a linear plan with an entertaining – kitchen area looking out North onto the garden and courtyard. 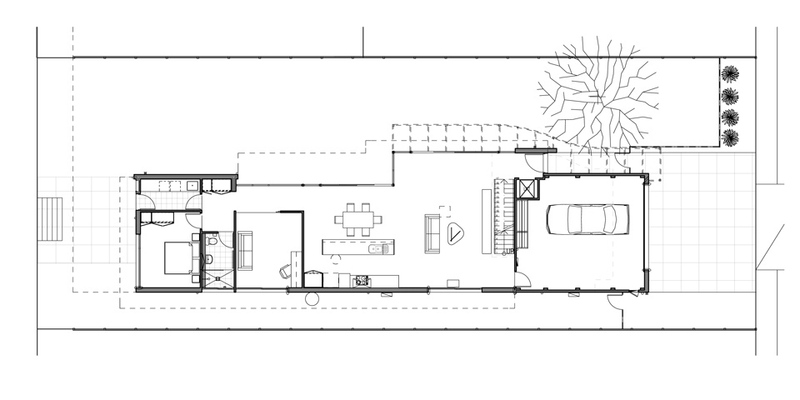 A guest bedroom and study- second bedroom with a bathroom and laundry also lead out to the garden. 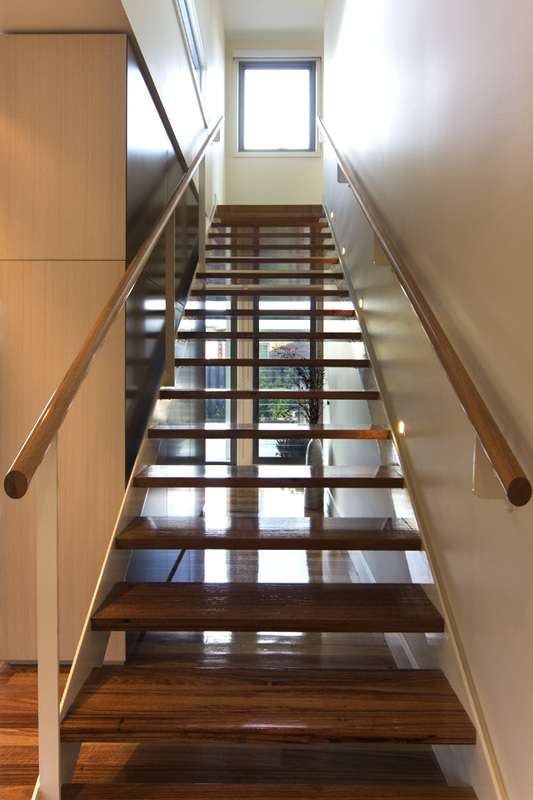 The first floor has the master bedroom and ensuite, which provides privacy from the social areas on the ground floor. 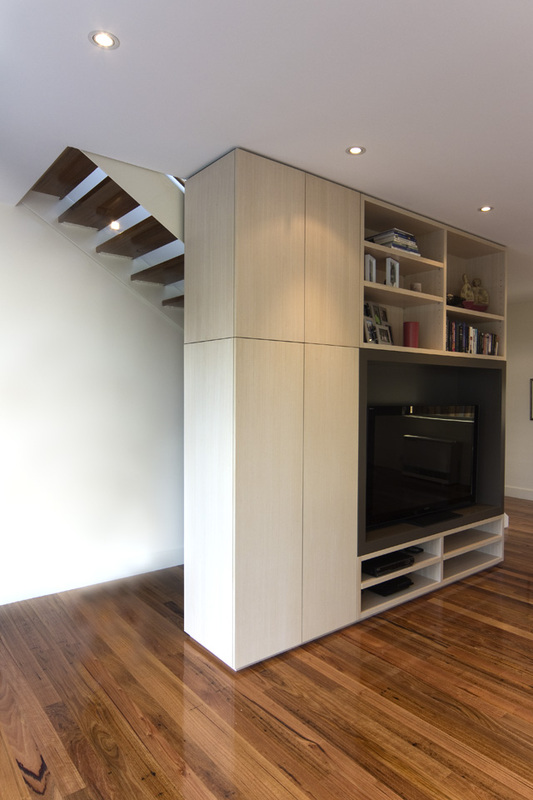 The client requested a lift to provide access to the first floor, this is accommodated near the entrance. 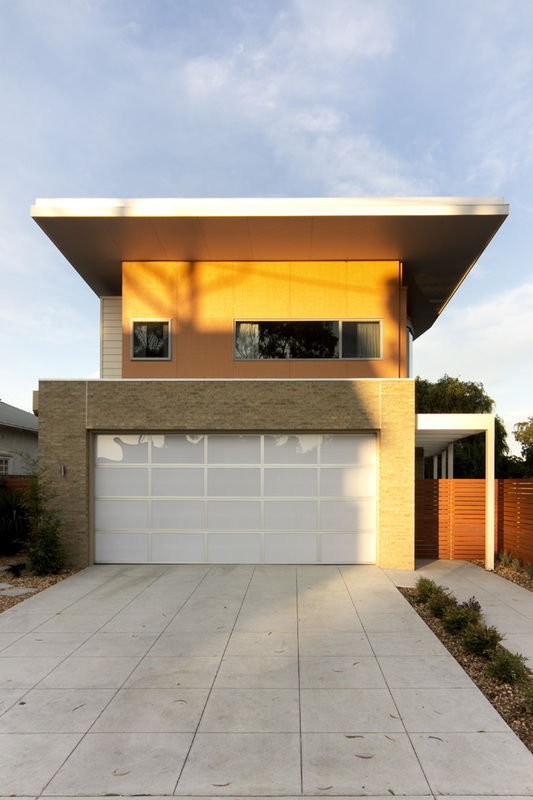 The building exterior uses a pallette of materials including brick and weatherboards that reflect the neighbourhood character with a contemporary design. 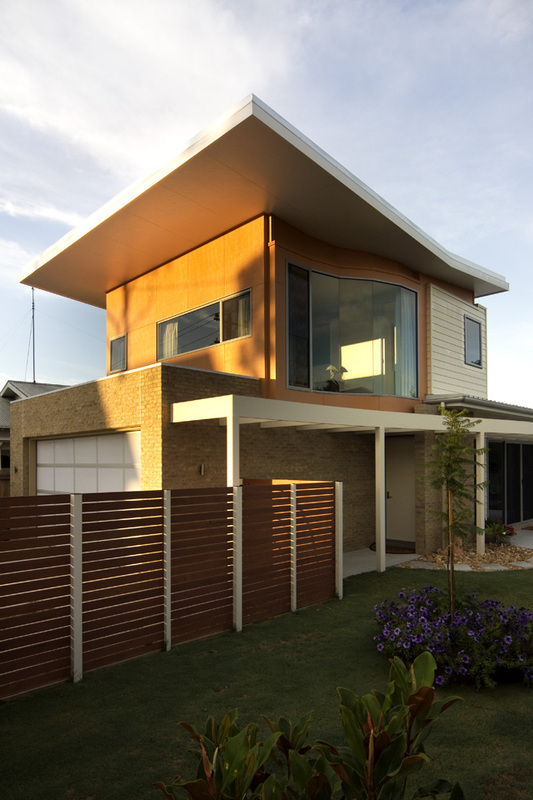 An orange wall at the first floor to provide warmth to the street facade. 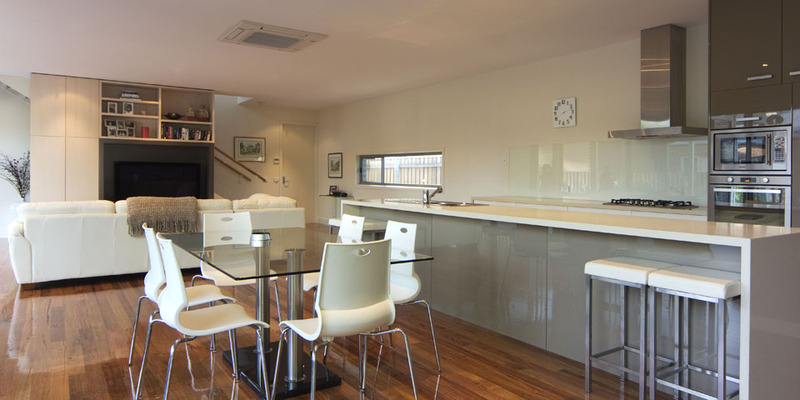 The interior uses contemporary materials, with polished floor boards, timber veneer and earthy tones in the kitchen benchtops and cupboards. 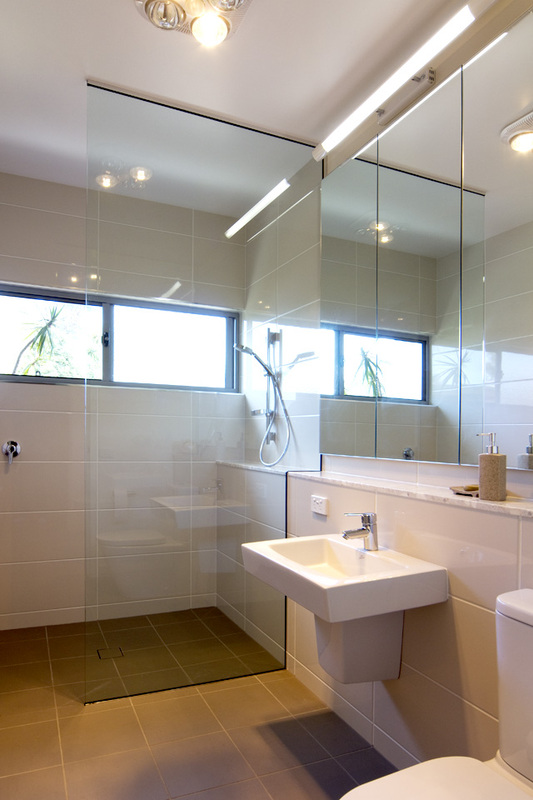 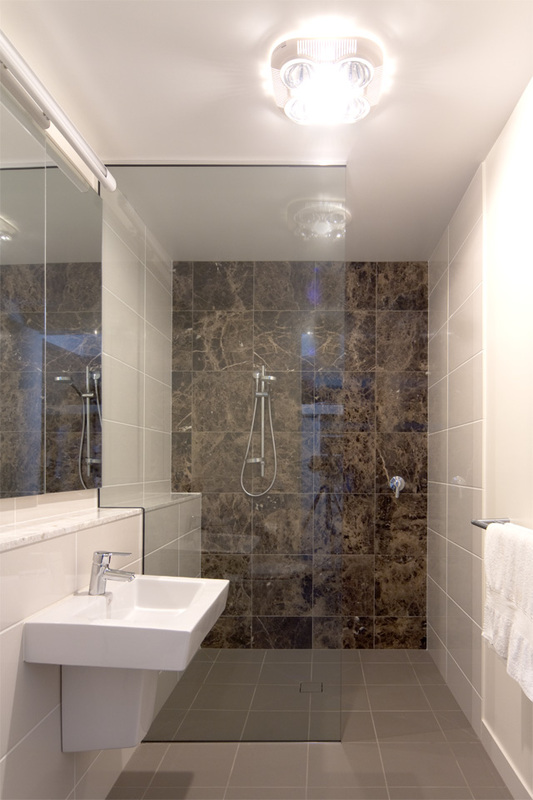 The bathrooms have feature stone tiles and clean contemporary lines.